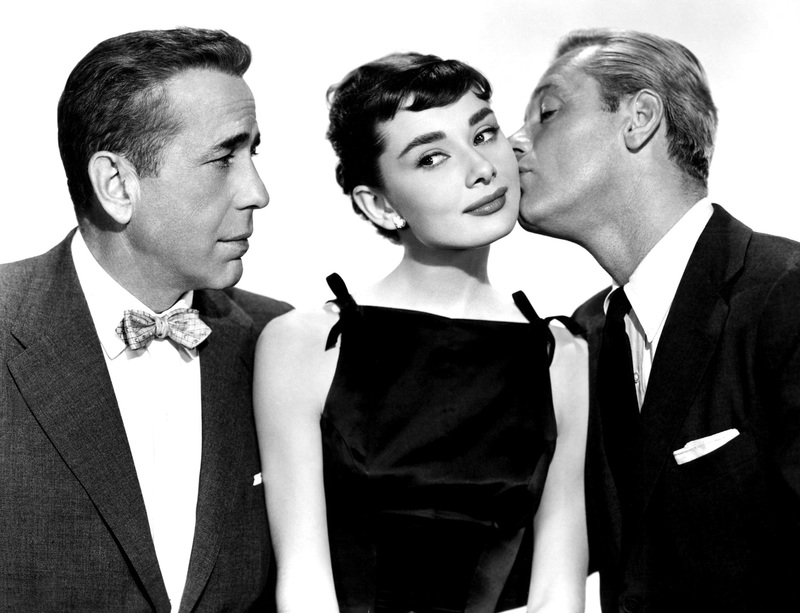 THE COMMITTEE ROOM: TCR on Film: An Interview with Edward Z. Epstein, author of "Audrey and Bill: A Romantic Biography of Audrey Hepburn and William Holden"
Bogart, Audrey and Bill in publicity shot for Sabrina (1954). "Hepburn’s iconic stature, to a large degree, is a result of the revolutionary impact she’s had on the world of fashion," Epstein told TCR. "Young women still strive for her 'look' in Sabrina, Funny Face and Breakfast at Tiffany’s. Combined with her radiance on screen, her talent as an actress (although she never thought she was a good actress! ), and her lilting, unique speaking voice, her appeal has stood the test of time It’s tougher for a man to achieve iconic stature. Those that attained it -- Wayne, Bogart, Cagney among them -- were archetypes of their age, projecting an appeal that went beyond their looks and their films. Holden was the ideal All-American man [and] every bit the superstar that George Clooney, Brad Pitt, and Bradley Cooper are today." Audrey and Bill filming Sabrina on location in Manhattan, 1953. Hepburn and Holden met in 1953 when they co-starred in the comedy Sabrina, director Billy Wilder's screen adaptation of Samuel Taylor's hit Broadway play Sabrina Fair, about a chauffeur's daughter who becomes involved with the two sons of her father's wealthy employer. The film's third star, playing the serious older brother, was an oddly cast Humphrey Bogart. The older brother part had been turned down by a more plausible Cary Grant. Used to gritty fare at his home studio Warners Bros, Bogart was very much out of his milieu in this glossy Paramount-produced light comedy. 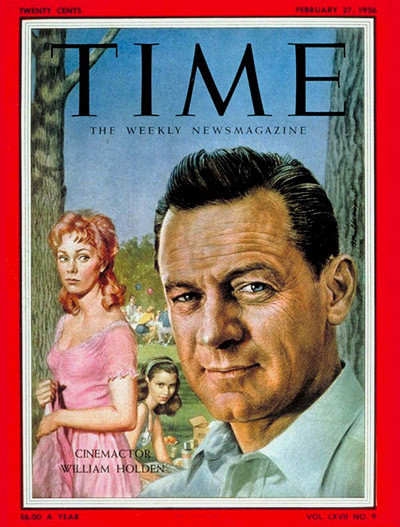 Bill on the cover of Time in his "Golden Holden"
The making of Sabrina was not a happy experience overall. There were frequent script changes and a disgruntled Bogart made no secret of his contempt for his attractive young co-stars and for director Wilder, sometimes referring to them collectively as "you Paramount bastards." Despite tension on the set, love blossomed between Hepburn and Holden. "It was obvious to observers...that their interest in each other was intense," Epstein writes in Audrey and Bill. To back this up, the book includes several candid photos of the dreamy eyed couple. By the completion of Sabrina, the two stars seemed headed for the altar. 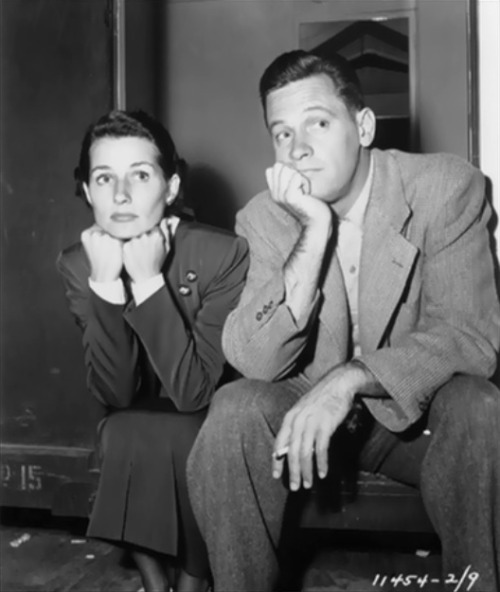 The fact that Holden was already married and had three children -- his wife was Brenda Marshall, a striking brunette who had been a contract player at Warner Bros in the 1940s -- was a complication and possible career threat that the movie star lovers were willing to face. "[Hepburn] would have been labeled a 'homewrecker.' It would have been a scandal...but neither [Hepburn nor Holden] had gotten where they were by playing it safe." Epstein told TCR. 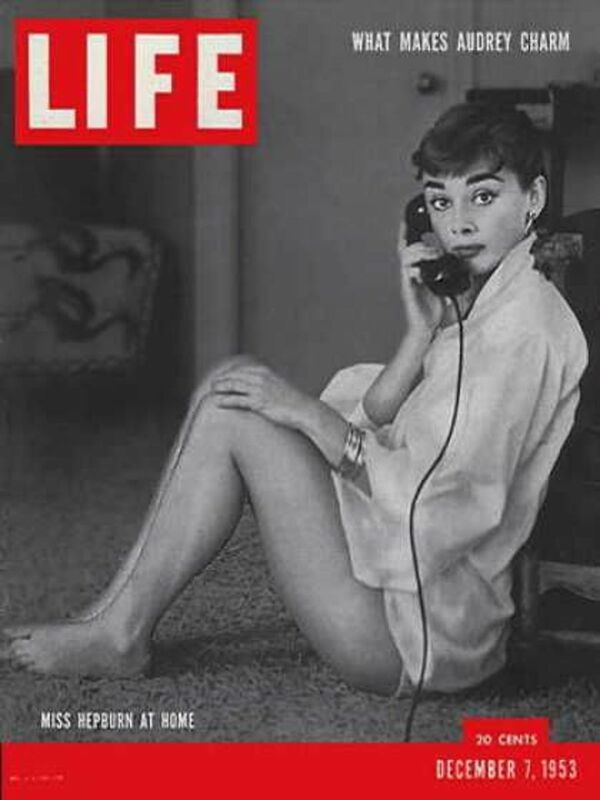 for Audrey over the years. Hepburn was extremely ambitious career-wise but also determined to have a family. Epstein reports that what ended her relationship with Holden was her sense of betrayal at discovering, rather late in the course of things, that Holden had had vasectomy and could not father any more children. "The trusting, simple part of their relationship was gone for good," Epstein writes in Audrey and Bill. In the spring of 1954, Hepburn and Holden both won Academy Awards for their work in the previous year -- she for best actress in Roman Holiday and he for best actor in Stalag 17. Their affair was over but they dutifully posed for photos together clutching their Oscars. Hepburn ignored Holden's efforts to win her back, including an affair with rival young beauty Grace Kelly that he hoped would provoke Hepburn's jealousy-driven return. With the title subjects of Audrey and Bill breaking up about one-quarter of the way through the book, Epstein allows himself space to offer up a fast-paced but thorough examination of the separate trajectories of the personal and professional lives of these two megastars. Audrey with Mel Ferrer and their son, Sean, c. 1962. "The most challenging aspect of writing Audrey and Bill, after assembling the information -- a daunting task in itself -- was to have them emerge as human beings. The general perception, that stars are gods and goddesses who live in a bubble, barely affected by life’s vicissitudes, is of course not true. Audrey and Bill had to face countless personal crises in the course of their lives -- for me, how they each dealt with the doubts and fears that plague us all was the core of the book," Epstein explained to TCR. In the autumn of 1954, just as Sabrina was being released, Hepburn, still on the rebound from Holden, married actor and director Mel Ferrer. Serious-minded, Princeton-educated Ferrer appealed to Hepburn's careerist-side with visions of the two of them becoming a sophisticated husband and wife acting team in the manner of Vivien Leigh and Laurence Olivier. "He had big plans regarding work he planned to do with Audrey. In effect, he became her manager," Epstein said of Ferrer to TCR. The controlling Ferrer guided Hepburn through triumphs -- The Nun's Story, Breakfast at Tiffany's, Charade, and My Fair Lady -- and failures, most notably War and Peace in which they both appeared, and Green Mansions which Ferrer directed. Ferrer also gave her a much longed for child, a son born in 1960. The great acting couple dream never materialized. Ferrer was a dour, non-charismatic screen presence and producers were not interested in pairing him with the incandescent Hepburn. Holden's career continued to flourish with blockbusters such as Picnic, Love is a Many Splendored Thing, and The Bridge on the River Kwai but by the early 1960s his star began to fade. Fresher faces including Paul Newman and Rock Hudson were making inroads into handsome leading man territory but Holden's ever-worsening drinking problem was probably a bigger reason for his premature decline. Epstein told TCR that alcoholism had "a devastating effect" on Holden's looks and on the willingness of top producers and directors to work with him. is beginning to look worse for wear. In 1962, Hepburn and Holden made a second film together, Paris When It Sizzles, a satirical comedy, beautifully shot on location in Paris, about a screenwriter and his secretary concocting a screenplay on short notice. Holden's drinking was so out of control that he went into rehab during the production of Sizzles. Hepburn was shocked at Holden's condition. She was also committed to her uneasy marriage to Ferrer and rebuffed Holden's now somewhat pathetic attempts to rekindle their romance. Released in 1964, Paris When It Sizzles was a box-office flop that that did nothing for the career of either performer. "Audrey told her agent that it had been a mistake to re-team her with Bill, and to try to not let it happen again," Epstein writes in Audrey and Bill. Holden soldiered on in his stormy marriage to Marshall. an alcohol and anger-fueled union that Epstein told TCR was "described by friends as sometimes reminiscent of George and Martha’s marriage in Who’s Afraid of Virginia Woolf." Holden and Marshall ultimately divorced but not until 1971, after thirty years of marriage. In the last two decades of his life Holden worked less than in earlier years. He devoted much time to African wildlife conservation and was in and out of substance abuse facilities trying in vain to get his drinking under control. In Audrey and Bill, Epstein mentions that in the late 1970s, Holden made the acquaintance of newly-minted star John Belushi at a posh California treatment center. The elegant, aging Holden and the coarse young comedy actor of Animal House fame were nothing alike as performers but, as Epstein writes "they were there for the same purpose -- to dry out." The standouts among Holden's later films are The Wild Bunch (1969), director Sam Peckinpah's ultra-violent and critically-acclaimed New Hollywood-style Western, in which Holden leads a band of aging outlaws, and Network (1976), a supremely cynical look at television news, directed by Sidney Lumet. In Network Holden -- looking haggard and elderly even though he was still in his fifties -- plays a demoralized broadcasting executive. Network was a box office smash that represented a comeback for Holden. He earned an Oscar nomination for best actor but his characteristically low-key work lost out to the histrionics of his Network co-star Peter Finch. Audrey played a celestial barber in her final film Always (1989). Holden died in November 1981. He bled to death after gashing his head on a table while alone and drunk in his Santa Monica apartment. His quiet passing was soon overtaken in show biz news by the still much discussed even today drowning of Natalie Wood only two weeks later. On Hepburn's part, as the 1960s progressed, she held onto her position as a top rank star. In 1967, the year of seminal New Hollywood films Bonnie and Clyde and The Graduate, she delivered an Oscar nominated performance in the popular thriller Wait Until Dark. "we will always have the romance." Hepburn's break lasted almost a decade. During her time away from the screen she married an Italian doctor. It was an unhappy marriage that ended in divorce but produced Hepburn's second son, born in 1970. When Hepburn returned to acting in the mid-1970s, she found there was no place for a middle-aged Audrey Hepburn save for having her presence add some class to a production. The handful of films she made in her later life -- including They All Laughed (1981), directed by Peter Bogdanovich, and Always (1989) directed by Steven Spielberg -- are irrelevant to her screen legacy. Like Holden, she spent much of her time in her final years working for a charitable cause, in her case, UNICEF. Hepburn died of cancer in January 1993 at her home in Switzerland. 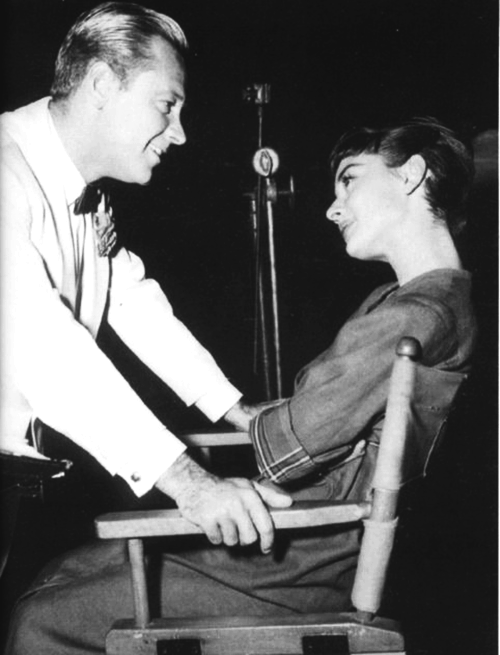 At the close of the irresistibly readable Audrey and Bill, Epstein writes that Hepburn and Holden "both possessed in abundance, 'that little something extra' that defines star quality. Although they both died relatively young, and their love story came to an end, thanks to Sabrina, we will always have the romance." Hepburn is fantastic Woman! She is star in life, not only movies! nice post. I have been wondering about this topic, so thanks for sharing. I will certainly be subscribing to your blog. This is exactly what I was looking for. Thanks for sharing this great article! That is very interesting Smile I love reading and I am always searching for information like this. Let's join soon in the best and trusty balloon ^ _ ^ and do not miss too many bonus tablets in < strong> World Cup beta world cup and most trusted. many games. and his gift smart phone cool. and bonuses up to 100% what are you waiting for? let's dock and register yourself. in waiting ya gan. I was very impressed by this post and very entertainment movies. Thank you for sharing the interview helps me understand more about them. Mu online private servers and Runescape private servers have increased in popularity due to high demand. One reason why so many people are into them is because they can pass levels easily. Private servers act as emulators and as privately owned servers. Many people are looking into them at the moment and the good news is that there are plenty to choose from. Working with professionals apply in all fields and all situations and it is the same when it comes to advertising your company, making it known to the audience. The right digital agency can hugely improve results regarding return on marketing investment and you can count on their level of expertise, dedication, skills and talent. A digital marketing agency offers many advantages that everyone should be aware of. Escorts girls in Noida is always ready to please Here is the list of top and Call Girls in Noida, where you can post your business free ads and promote your business. 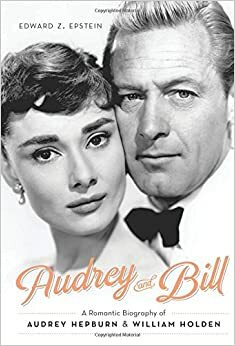 This is really a very romantic biography of Audrey Hepburn and William Holden.